Earn $3.19 in VIP credit (319 points)What's This? 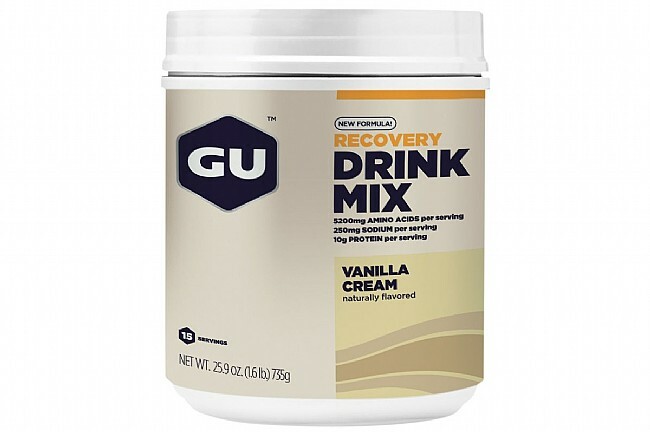 The Recovery Drink Mix from GU is built on the research-backed 3:1 carbohydrate-to-protein ratio for optimum replenishment post-ride. With 10 g of whey protein isolate per serving, Arginine and Glutamine amino acids, a mix of simple and complex carbs, this easy-mixing powdered supplement reduces muscle breakdown, promotes new muscle development, and boosts circulation and immune system function to keep athletes healthy and in top form. Available in multiple flavors. 15 serving container. Mix with water or milk.